Plus your comments and questions. Apple announced the dates for its Worldwide Developers Conference. Can Fitbit compete with the Apple Watch? At SXSW, Apple’s Eddy Cue announced that the company acquired Texture. We also feature your comments and questions for Leif Johnson, Michael Simon, Roman Loyola, and Dan Masaoka in the Macworld Podcast, episode 596. 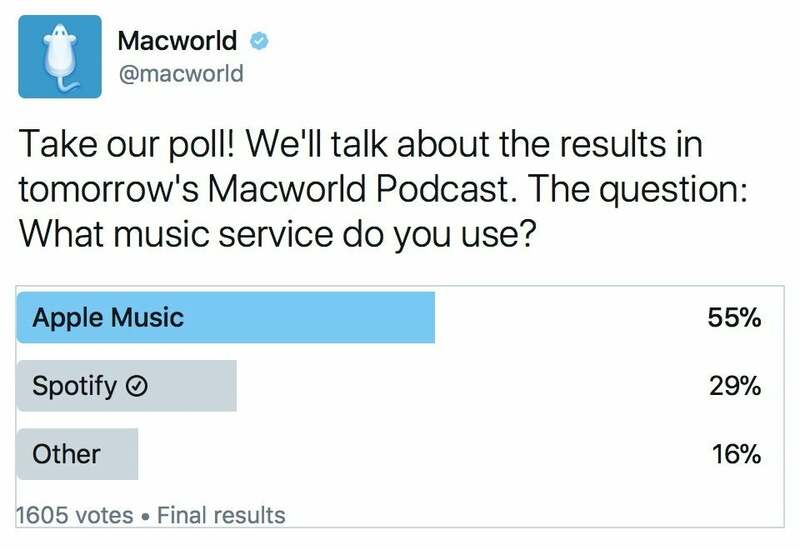 Before the show, we asked (via Twitter) what music service do you use. Here are the results. The Macworld Podcast broadcasts live on the internet on Wednesdays at 10 a.m. Pacific. You can watch on the Macworld Facebook page, or on Twitter via Periscope.